How did a new robot become a local attraction, without replacing any pharmacy staff? 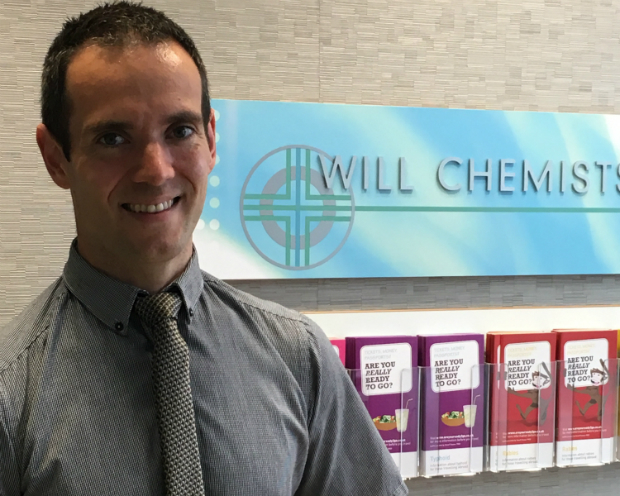 In the second of the series, Galen Will, pharmacist director of Will Chemists in Inverurie, Aberdeenshire, explains how he was prompted to recruit more staff after his robot dispenser doubled prescription volume. In 2009, technology enthusiast Mr Will (pictured) decided to install a robot dispenser in his family-run pharmacy on West High Street as part of a renovation project which doubled the size of the store. He went for the robot “partly because of my desire for technology, but also to increase efficiency in the dispensary”. Mr Will says he paid around £150,000 for the robot, under a finance deal to pay it off over 10 years, which he says contributes to the “very low” monthly outlays. Whatever the finance deal, the costs might seem a bit steep for today’s average independent pharmacy. Was the expense worth it? As well as increasing prescription volume from an average of 8,000 scripts a month, to 17,000, Mr Will estimates that patient waiting times have reduced from around 10 minutes to just one. The number of dispensing errors has also “dramatically reduced”. He stresses it’s the “good customer service” and “prompt attention” that keeps patients and customers coming back to the pharmacy, but acknowledges the robot has become a popular talking point. “It was a draw for customers, [that] they could see it operating,” he says. And the community engagement didn’t stop at more visitors to the pharmacy; after a competition with the local school, Will Chemists' robot dispenser – and now local attraction – was named Max. Media headlines earlier this year warned that up to 30% of UK jobs are at risk of being taken over by robots in the near future. But getting the pharmacy on board with the new member of the team was not hard, Mr Will says. In fact, an additional two full-time staff have since been hired to cope with the increase in demand. Now the pharmacy employs five full-time equivalents as well as two pharmacists, a dispenser and a pre-registration student. They all “work alongside [Max] very well”, he says. There were some worries about what would happen if the robot suffered a failure, Mr Will explains, but with just one breakdown in eight years – and backup mechanisms for staff to work around should anything happen – these fears were soon laid to rest. In May this year, Mr Will invested in a second robot for another of his pharmacies, on Burghmuir Drive, as part of a Scottish government pilot to examine the impact of such technological advances. The University of Strathclyde has been tasked with assessing “the experience of – and impacts arising from – technology enabled service redesign in community pharmacy”. Their findings will inform the use of robotic dispensers in community pharmacy in the country in future, according to the government. Mr Will assures sceptics that operating and working alongside a robot dispenser is as easy as getting to grips with a new PMR system. “It completely changed the way we operated,” he says. With Rosie – named after the robotic maid in the cartoon The Jetsons – arriving any day now, and customer demand ever-increasing at West High Street branch, Mr Will isn't looking back. 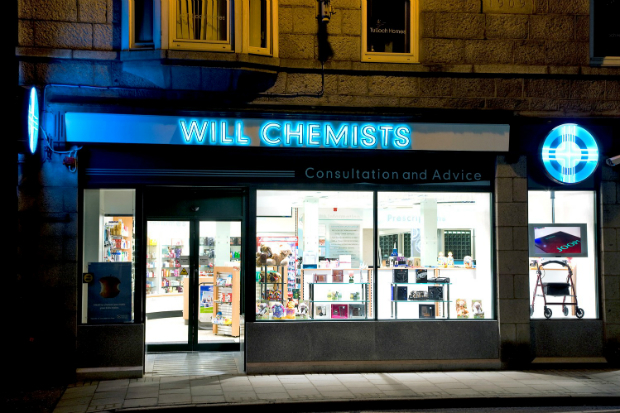 Commenting on Will Chemists' use of technology, Janice Oman, NPA's Scotland representation manager, says that while "there’s no replacement for the human touch", dispensing robots "can free up pharmacists to spend more time with patients and other healthcare professionals". "Clearly this means often significant investment and is not for everyone," she adds. "But Will Chemists, and others like them, have shown that this type of technology can be immensely useful." 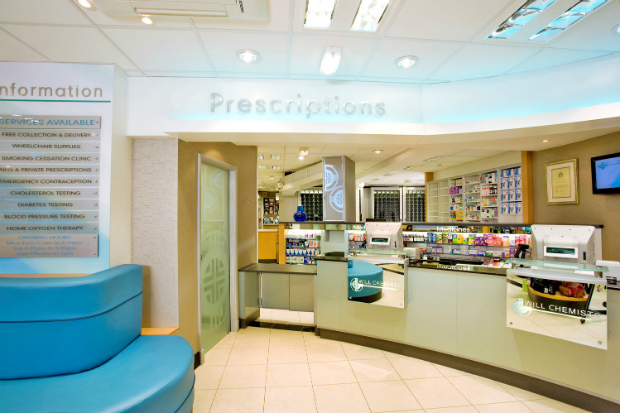 "Pharmacies must be progressive and modern, while at the same time being true to [their] historic values as a personal, caring profession," Ms Oman says. "In particular, the sector must make the very best use of technology to strengthen pharmacy’s locally based service proposition." Has technology made a difference in your pharmacy? Could Mr Will kindly clarify if the Scottish Government are giving him any funding towards the robot.